It was about 2 AM and I couldn’t wait to collapse into bed after David Platt’s 6 hours of teaching Saturday. About the same time Nepal was collapsing. A 7.8 earthquake leveled homes and took the lives of over 5000. Poor, poor, poor is the life of most of Nepal’s 29 million people. 1/3 live on less than $1/day. Most are Hindus, some Buddhists. Less than 3% follow Jesus. A Free Church missionary living in a nearby country quietly works with Nepalese pastors (Christianity is not viewed favorably) in Nepal and gives this report: Greetings! It is with heaviness of heart that I write to you because of the devastation in Nepal. As you know, we have been working with pastors and church planters there for the last four years and have built precious friendships. In this picture you see some of the brothers and sisters whose lives have been changed because of the earthquake. You have seen the situation on the news. Nepalese Christians worship on Saturday, rather than Sunday. The earthquake hit at noon on Saturday when many Christians were still worshiping. People ask if any of our partners are among the victims. To my knowledge, all our partners have come through safely, although we have been unable to reach some of them. Some have lost their homes or church buildings. What can you do? · Pray for a Christian leader, K. He is safe but their church building is badly damaged. · Pray for a church planter, Kr. He and his family are OK but one of the walls of his house collapsed. · Pray for S and R who lead an inner city church and are reaching out to the people in need. · Pray for Stephen Chandra of ReachGlobal and Gil Nash of OC International going in the see how best to channel help for long-term relief and gospel transformation. 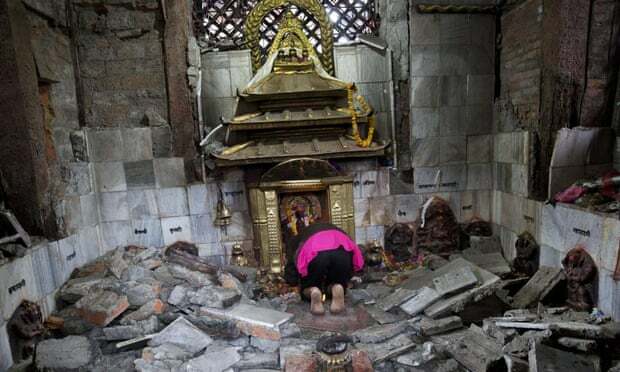 · Pray for people to turn to the true and living God now that many of the temples and statues they have revered for centuries have been destroyed. · Pray for the Church to be strong and full of God’s love.